The worst fears about the Defence Planning Committee (DPC) being yet another bureaucratic contrivance rather than an instrument for centralizing national security and defence decision-making were realized once the outcome of its first meeting became known. One report talked about the DPC chaired by NSA Ajit Doval with the three armed services chiefs — Admiral Satish Lanba, General Bipin Rawat, Air Chief Marshal BS Dhanoa, defence secretary Sanjay Mitra, expenditure secretary Ajay Jha, foreign secretary Vijay Gokhale, and Lt Gen Satish Dua heading the Integrated Services HQrs as member-secretary writing up the minutes, surveying the “geostrategic landscape” and deciding to come up with an äction plan. Another reported that the stress was on the military services alighting on a coordinated plan to avoid developing duplication and triplication of capabilities that would be mindful of the financial constraints and keep in view rapidly advancing technologies and the likely nature of the wars of the future. In this context, the navy was asked not to push for the third indigenous aircraft carrier (that NHQ had hoped would have on board the prohibitively costly electromagnetic aircraft launch system (EMALS) that the US Navy is finding to be unaffordable. All present also apparently agreed that the flab needs to be excised. That’s all that has come out in the public realm. These days he supervises the assembly line at a Dr. Pepper plant in St. Louis, Missouri. But once, not too long ago, Jordan Rich carried grenades to work and wielded immense power over an entire district of Afghanistan. He was a brand new lieutenant, just 26, and quickly enough my lifelong friend. In Kandahar, some 7,000 miles from his hometown of Bishop, California, Jordan —like the U.S. military itself—carried a heavy load. He was asked, by me and by his country, to do the impossible. He failed, America failed, and it’s long past time to bring the boys home. China is advancing toward its goal of establishing administrative control over much of the South China Sea. This trend is heightening regional concerns about the reliability of the United States, and enhancing China’s coercive leverage over the commercial and military activities of surrounding countries. If left unabated, the cumulative effect of China’s expanding influence in the South China Sea will make it increasingly difficult for the United States to defend its interests in Southeast Asia: U.S. security partnerships will weaken, the U.S. military will be left with fewer access and presence agreements, and neither regional institutions nor international law will substantially constrain China’s behavior. China has quietly installed anti-ship cruise missiles and surface-to-air missile systems on three of its fortified outposts west of the Philippines in the South China Sea, a move that allows Beijing to further project its power in the hotly disputed waters, according to sources with direct knowledge of U.S. intelligence reports. Intelligence assessments say the missile platforms were moved to the outposts in the Spratly Islands within the past 30 days, according to sources who spoke on the condition of anonymity. The placement of the defensive weapons also comes on the heels of China's recent South China Sea installation of military jamming equipment, which disrupts communications and radar systems. By all accounts, the new coastal defense systems represent a significant addition to Beijing's military portfolio in one of the most contested regions in the world. For most of its nine-year history, the museum has been mostly a place for school children to learn about the uses of computer chips. But it has become a hot ticket for officials from all over China ever since Beijing declared that creating a world-leading semiconductor industry was a top national priority. On a recent weekday this spring, Lance Long, the museum's director, was hosting a tour for officials from Urumqi, the Xinjiang capital known for being the world's most landlocked city. Before that, Long hosted groups from distant provinces such as Gansu and Yunnan and even Mongolia. All told, some 200 groups came last year for an education in China's next big thing. "Many of these representatives knew very little about chips, but they all want to capture this once-in-a-lifetime investment opportunity being led by high-ranked policymakers," Long told the Nikkei Asian Review. China appears to have deployed long-range anti-ship cruise missiles and air-defense missiles to the Spratly Islands, providing the islands with offensive reach for the first time. 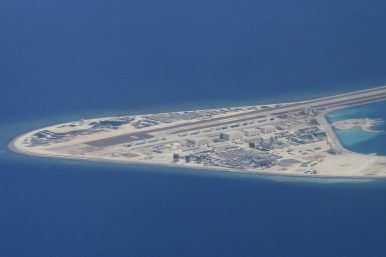 The move dashes hopes across the region that China would refrain from, or at least limit, its militarization of the extensive bases it has built on reclaimed coral reefs in the heavily disputed islands. 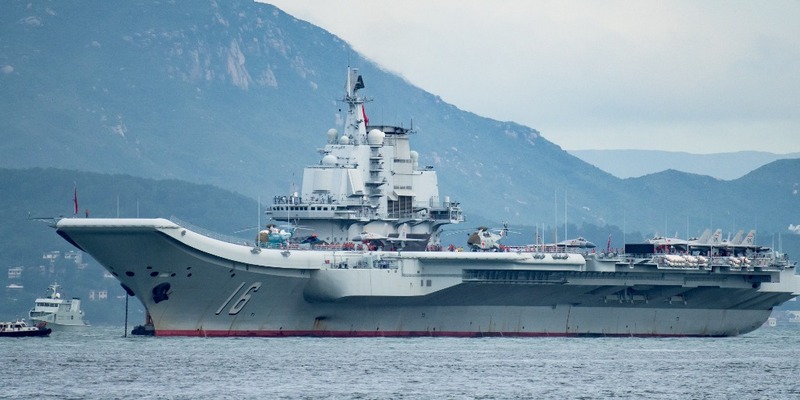 Intelligence sources told CNBC News that China had placed supersonic YJ-12B anti-ship cruise missiles and HQ-9B anti-air missiles on Fiery Cross, Subi, and Mischief Reefs in the Spratly Islands. China’s Ministry of Foreign Affairs tried to downplay the significance of the deployment, but the White House Press Secretary said that China would face consequences for the missile emplacements and its continued militarization of its Spratlys features, without elaborating on what those might be. According to CNBC, sources “with direct knowledge of U.S. intelligence reports” say China has installed long-range anti-ship and surface-to-air missiles on three of its artificial islands in the region—and the deployment took place in just the past 30 days. The deployment of missiles on these islands hasn’t been confirmed independently, but satellite photos published by CSIS’ Asia Maritime Transparency Initiative, which closely monitors Chinese construction on the islands, show the development of hardened shelters with retractable roofs. In our Friday ‘Best of’ series, we lay out the big picture for you by bringing you Expert Cipher Brief analysis on China’s considerable progress in developing advanced naval and force projection capabilities. After years of heavy industrialization, China’s environmental challenges are nearing a tipping point. The factories and power plants that have driven its economic growth have also polluted its air, water and soil, to the point where environmental hazards could lead to a significant risk to China’s society and economy, if not corrected in a timely manner. In a bid to tackle these challenges, China’s government has declared a “war on pollution” and introduced a number of green initiatives. According to CNBC, sources “with direct knowledge of U.S. intelligence reports” say China has installed long-range anti-ship and surface-to-air missiles on three of its artificial islands in the region—and the deployment took place in just the past 30 days. The deployment of missiles on these islands hasn’t been confirmed independently, but satellite photos published by CSIS’ Asia Maritime Transparency Initiative, which closely monitors Chinese construction on the islands, show the development of hardened shelters with retractable roofs. China has long prosecuted a trade war against American industries and workers. Finally, we have a president willing to take up arms but he is widely disparaged by academic economists — who are generally sympathetic to the resist Trump movement and prescribe more Obama-era appeasement. Supported, for example by New York Fed President William Dudley, they argue the economy is doing well and a trade war is not winnable — those are false and Beijing has left Washington little choice but to defend America or abandon our children’s future. The 2.9 percent economic growth accomplished so far by President Trump compares poorly to the better than 6.5 percent China has posted in recent years. Beijing is using the dividends from unchallenged mercantilism to finance instruments of soft power — foreign aid and state directed overseas investment — and build an impressive navy to subvert U.S. security arrangements in the Pacific. Let’s say you wanted to send a secret letter and wanted to make sure your competitors couldn’t see it. You write it, seal it, and put it in the mail. Except the post office is in Russia. Along with your ISP — internet service provider. And your email service provider. And your cell phone company. And your bank. Now substitute China for Russia. America is being invaded incrementally through hardware and software. The most vital parts of our economy and national security are being targeted — our communications. Whether it’s a computer, cell phone or software program, we’ve been invaded. Even though our government has been warning about this for over a decade. 'Modi's recent decisions to improve India-China relations, adjust India's neighbourhood policies and to rebalance India's ties with the major powers are linked to his political agenda.' Of course, the good part is that this agenda is also in the national interest,' says Ambassador M K Bhadrakumar. IMAGE: Senior Indian and Chinese army officers met in Chusul, Ladakh, on May 1, 2018, during which both sides resolved to maintain peace and tranquillity along the Line of Actual Control, besides agreeing to work on additional confidence building measures.The meeting followed Prime Minister Narendra D Modi's meeting with China's Supreme Leader Xi Jinping in Wuhan on April 27-28, 2018. The anxiety syndrome in the American write-ups on the Wuhan summit is truly tragi-comic. More than 1,100 economists on Thursday warned President Trump and Congress that protectionist trade policies will endanger economic growth. The economists, which include 15 Nobel laureates and advisers to former presidents Reagan, George H.W. Bush, Clinton, George W. Bush and Obama, sent a letter to Trump and Congress to step back from tariff threats by arguing that similar action plunged the country into the Great Depression in the 1930s. "Americans face a host of new protectionist activity, including threats to withdraw from trade agreements, misguided calls for new tariffs in response to trade imbalances, and the imposition of tariffs on washing machines, solar components, and even steel and aluminum used by U.S. manufacturers,” the economists said in a letter led by the National Taxpayers Union. As Syria’s war grinds along in its seventh year of fighting, the conflict is entering an ominous new phase as President Bashar Assad’s forces step up their offensive operations and the broader proxy war intensifies between several nation states, including Iran and Israel. Assad’s forces have secured the upper hand on the battlefield and are concentrating their efforts in clearing out remaining areas of opposition influence around Damascus. In the coming weeks, look for Assad to focus on eliminating remaining pockets of opposition control around Rastan in the north and in southwestern Syria near the Jordanian border. At that point, Assad will face an important choice. Does he try to regain control of Idlib province in northwestern Syria, where thousands of civilians and militants fleeing other conflict zones have moved, and where radical groups such as Fatah Sham, which is Al Qaeda in Syria, control large parts of the province? Or does he instead turn east to contest U.S. backed-Kurdish forces and try to regain large portions of the country’s critical oil infrastructure? The latest estimate is that Kurdish forces control territory, including oil and gas fields in eastern Syria, that accounts for about 30 percent of the country’s gross domestic product. These resources will be critical to the regime’s long-term reconstruction project. The two Koreas’ Panmunjom Declaration announced on Friday led to much international disappointment about the vagueness of the remarks regarding denuclearization. It would have been ideal if the declaration were more specific, but the simple reality is that the document was never intended to be a denuclearization agreement, nor contain any specifics about rolling back the North’s nuclear weapons programs. From the start, the declaration was intentionally designed to serve two very different purposes: One was to chart a new era for peace on the Korean Peninsula. The other was to keep the diplomatic door open to allow the leaders of the United States and North Korea to meet face-to-face. 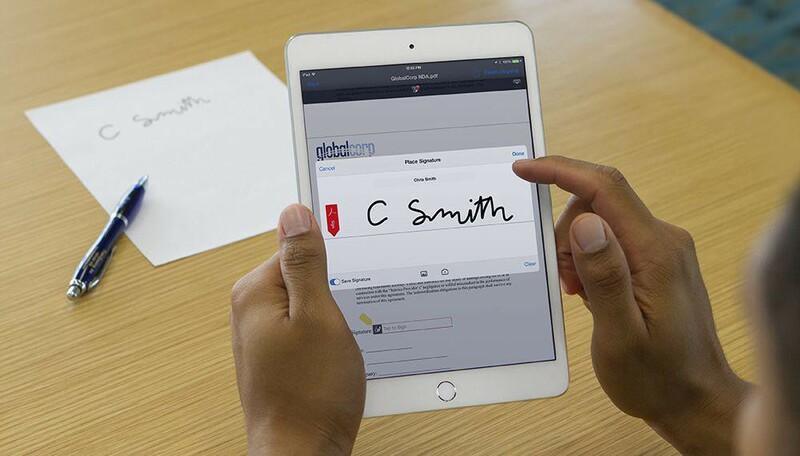 Optical Character Recognition (OCR) is one of the few technologies that has found applications throughout the entire industrial spectrum, where the immediate saving of labour. (otherwise lost in onerous retyping of handwritten or typewritten data) is realised. With OCR, a huge number of paper-based documents, across multiple languages and formats can be digitised into machine-readable text, that not only makes storage easier (saving a bomb on space, fireproofing, pest-control etc), but also makes previously inaccessible data available to anyone at a click. If the United States tears up the Iran nuclear deal — the multilateral agreement that is currently making it impossible for Iran to acquire nuclear weapons — it will be more than just a typical Trumpian blunder or evidence of the continued influence of the hard-line wing of the Israel lobby and its Saudi and Gulf Arab counterparts. It will also be another sign of Europe’s strategic irrelevance, and its leaders’ collective inability to either stand up to the United States or alter its thinking on an issue of paramount importance. The pendulum is stuck. The traditional laws of political gravity predict a swing away from the party of national government in local elections, but it has been a while since British politics followed the obvious arc of precedent. If last night’s council election results conform to any pattern, it is the laudable habit that voters have acquired of giving party leaders cause to scratch their heads and wonder what the hell is going on. There is no big national winner. Since the Tories were braced for a mauling and escaped without one, Theresa May will be feeling relatively relaxed today. Labour needed to demonstrate that last year’s general election gains were a staging post on the road to national power; that destiny was calling Jeremy Corbyn. Destiny didn’t hang up the phone, but it has put the opposition on hold. Labour had ambitious targets – Tory bastions in London such as Westminster and Wandsworth – that did not fall. Growing concern in the United States and Europe over the collection and distribution of personal data could decrease the quality and accessibility of a subset of data used to develop artificial intelligence. Though the United States is still among the countries best poised to take advantage of AI technologies to drive economic growth, changes in privacy regulations and social behaviors will impair its tech sector over the course of the next decade. China, meanwhile, will take the opportunity to close the gap with the United States in the race to develop AI. 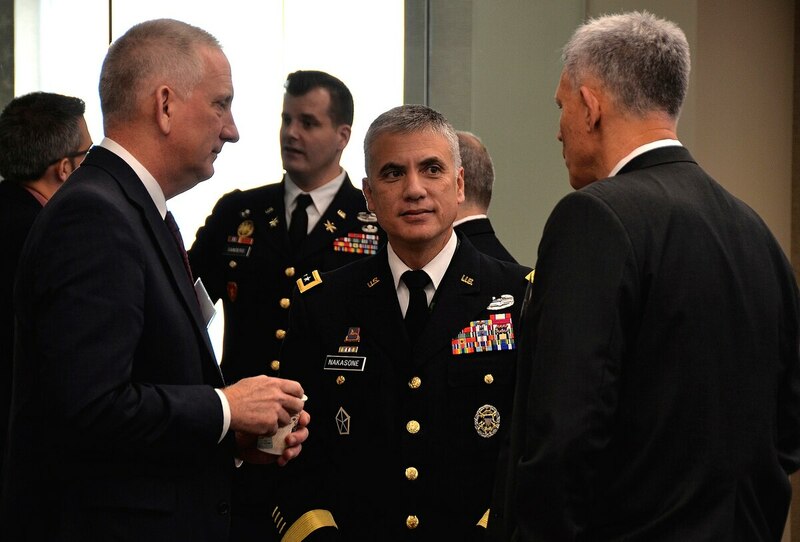 Newly confirmed Army Lt. Gen. (P) Paul Nakasone will formally take the reins at the National Security Agency and Cyber Command following a ceremony May 4. In that role, Nakasone will head the 10th, and newest, combatant command. But as the organization takes on greater responsibilities, Nakasone will receive broad authorities as the global coordinator for cyber operations in the Department of Defense and as the joint force trainer for cyber. Here are three key decisions Nakasone will face and that will shape Cyber Command in the long term. The Marine Corps has, in recent months, started to shift its focus away from operations in the Middle East and begun to emphasize preparing to operate in extreme cold— like that found in northern Europe and northeast Asia. US forces "haven't been in the cold-weather business for a while," Marine Corps Commandant Gen. Robert Neller said in January 2018. "Some of the risks and threats there, there is a possibility we are going to be there." That reorientation has placed new demands on Marines operating at northern latitudes in Europe and North America — and put new strains on their equipment. 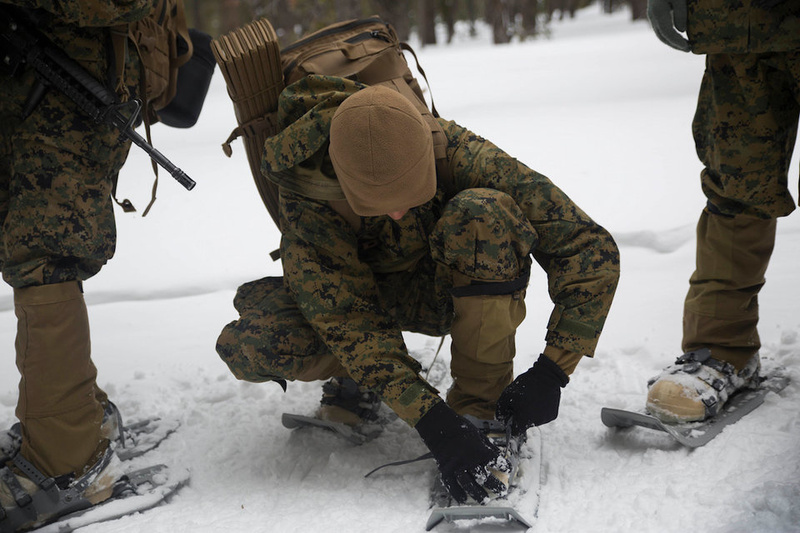 The Corps has issued requests for information on a new cap and gloves for intense cold, and it plans to spend nearly $13 million on 2,648 sets of NATO's ski system for scout snipers, reconnaissance Marines, and some infantrymen. Last month, the U.S. and U.K. governments released a joint “Technical Alert” on the dangers of “Russian state-sponsored cyber actors.” While timely and targeted, this alert shouldn’t be a surprise to anyone. We’ve witnessed enough cyberattacks in recent years to understand that the digital domain is humanity’s new battlefield. And while the West is ramping up its defenses, its efforts aren’t guided by an overall doctrine. That’s right: There is no master plan. What we need now, before a more serious cyberattack, is a doctrine along the lines of our National Response Framework. This document is, in its own words, “a guide to how the nation responds to all types of disasters and emergencies.” Resources, roles, responsibilities, you name it. From the Oval Office down to local governments. It even includes Native American Tribal Councils. No, seriously, look it up — because you can. This isn’t a secret, eyes-only doomsday plan. The National Response Framework is open to the public because it needs to be. There can’t be any room for misinterpretation or confusion. Editor’s Note: This article by Hope Hodge Seck originally appeared on Military.com, the premier source of information for the military and veteran community. The Marine Corps is capping off 18 months of overhauling the way infantry units are trained and equipped by shaking up the structure of the rifle squad. In an address to an audience of Marines at a Marine Corps Association awards dinner near Washington, D.C., on Thursday night, Commandant Gen. Robert Neller said future squads will have 12 Marines, down from the current 13. But while the squads are losing a body, they will gain capability, with two new leadership positions, he said. he new squad will have three fire teams of three Marines each, an adjustment from the standard four-Marine fire teams of today, Neller said.